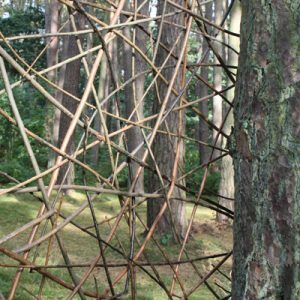 Heartwood is an annual outdoor exhibition in Perthshire. I was invited in 2009 and 2010 to participate. Amongst the trees beside an old birch tree, the simple form of a dress floats, moving with the breeze. 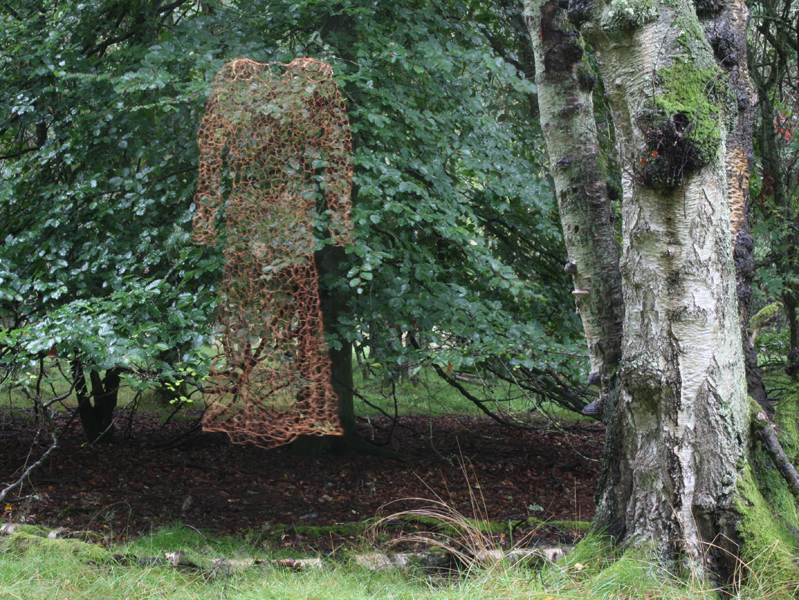 This is a life size dress made using moss (Polytrichum commune) and hints at past presences within the wood. Set within the grounds of the disused tennis court; lawn is a collection of interrelated pieces responding to ideas around the game of tennis and around colonisation by nature, of ideas, of the present by the past and of language. 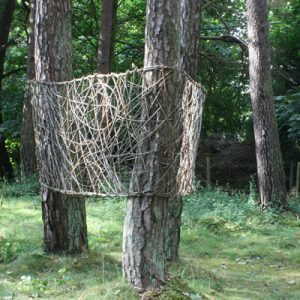 Three Scots pine were selected and a piece made from open weave willow was woven around their stems. 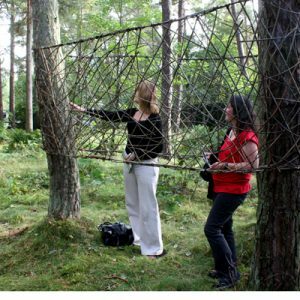 The public were encouraged to bend down in order to go inside the piece and then to be surrounded by the open structure in order to see and feel the wood in a new way.